Nancy has studied the healing effects of stones for the past 20 years. She often goes on digs to find her own stones. How is it possible for a stone to heal me? Not only is possible, it is happening all the time. All stones emit energies emanating from the earth where they came from. These subtle energy waves can help us in so many ways. 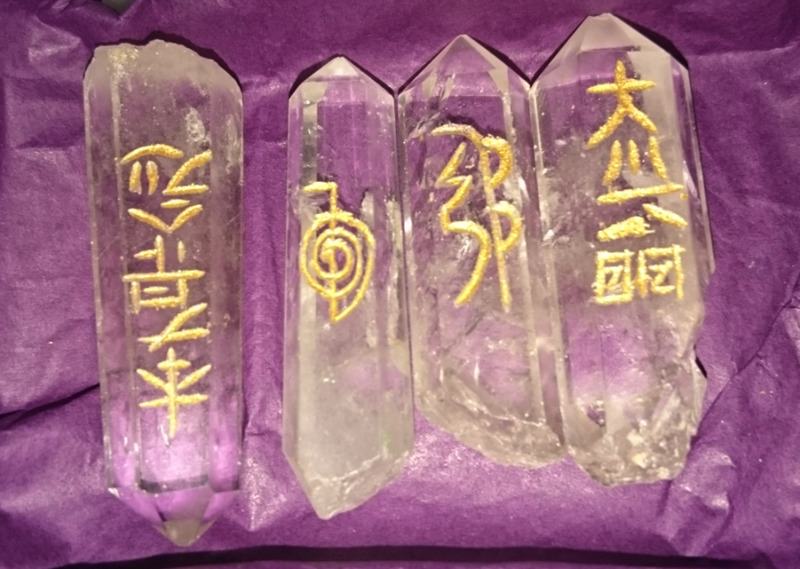 Healers have been using crystals to cure ailments since the beginning of time. All stones are said to have specific healing properties associated with them and malachite is no different. 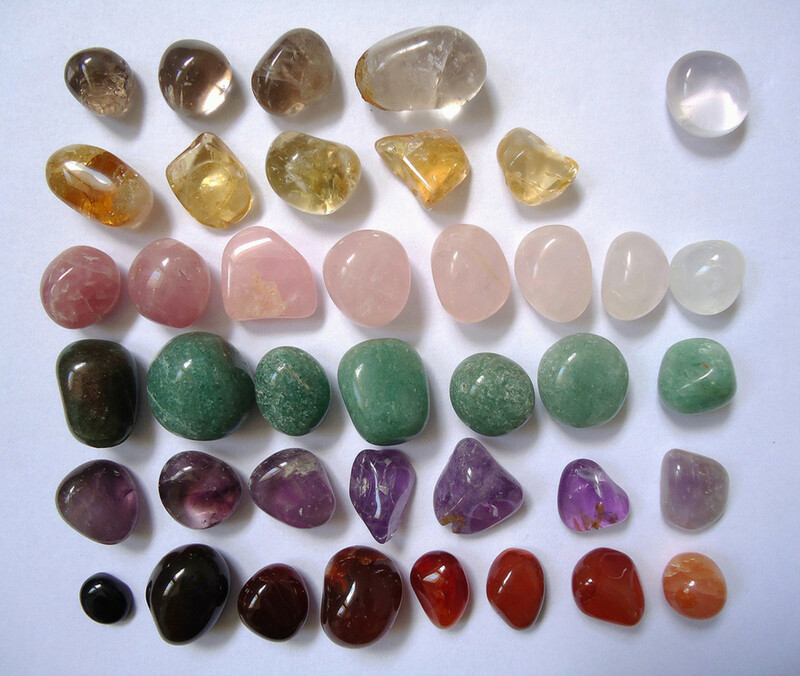 As with all healing, stones work on the physical, emotional, mental, and spiritual parts of our being. It has only been in the last century, that people in the western culture started only trusting modern medicine (drugs) for cures. But in reality, most drugs only treat the symptoms of illness and often do more long-term harm than good. 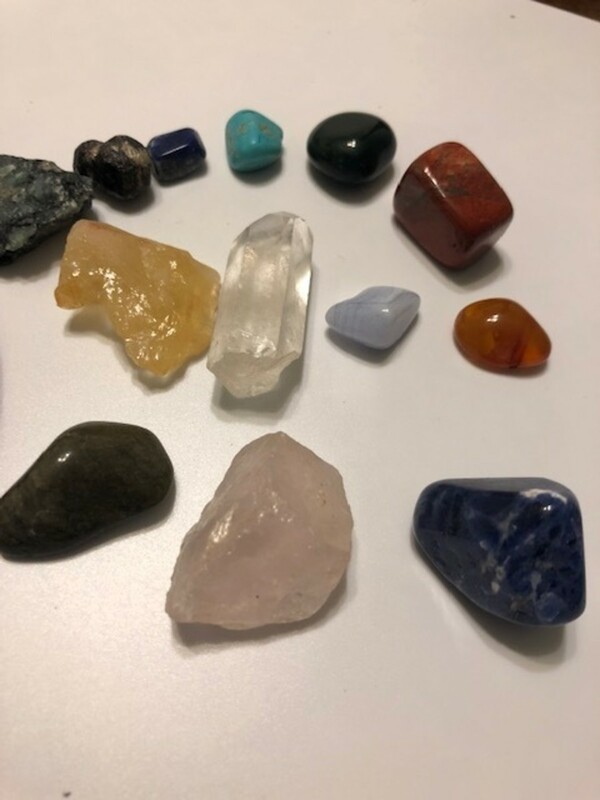 Crystals, on the other hand, work in terms of a total healing of the body. How Does the Healing Work? Each type of stone vibrates with a unique geometrical pattern. These patterns are very similar to the patterns in ours body systems and in our auras. Placing a malachite stone in the area of the throat (via a necklace or choker) is to request the similar structural patterns in our body to align themselves perfectly. It is within these specific geometrical entities that the specific healing properties listed below can be acquired. Any unwanted energies in the throat will then be resolved. It is really just a matter of matching like, healthy energies in the stone with our own DNA structure resulting in healing. There are many ways to use stones for healing. Jewelry and elixirs are only a couple, but probably the simplest to implement. Now that we understand how the healing occurs, how can we initiate it and begin healing? One way is to wear jewelry. Ideally, many teach that the malachite has to be placed on the area of the body that needs healing but that is not necessarily true. All that needs to happen is the malachite needs to be anywhere your energy so in relation to jewelry, wearing necklaces, bracelets or earrings will do. This will assure that you are receiving the metaphysical properties of malachite. 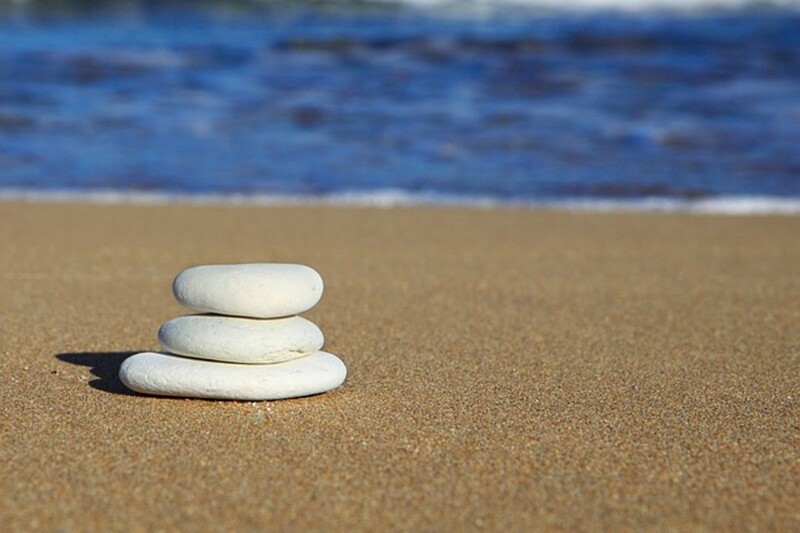 All stones should be cleansed at least once a week. Raw malachite can be toxic when used in an elixir. It is best to use it in tumbled form rather than raw. However, malachite elixirs are still possible. Charge the stone in the moon and the sun for 24 hours. Simply place a polished malachite in a small glass container. A baby food jar works well. Then place the baby food jar inside a larger transparent glass bowl. Filled the transparent bowl with clean water. Cover the bowl to keep out contagions, especially if left outside. Leave in direct sunlight for a few hours. Use the water in the outside bowl for the elixir. Most people then store the water in an amber bottle. Vodka is often used as a preservative. Drops of the water contain the energy of the stone. Use these drops for healing. You may also drink the water but I will warn you that it does taste stale. Malachite tends to intensify your positive and negative energy. If your moods are already manic, malachite may not be the stone for you. 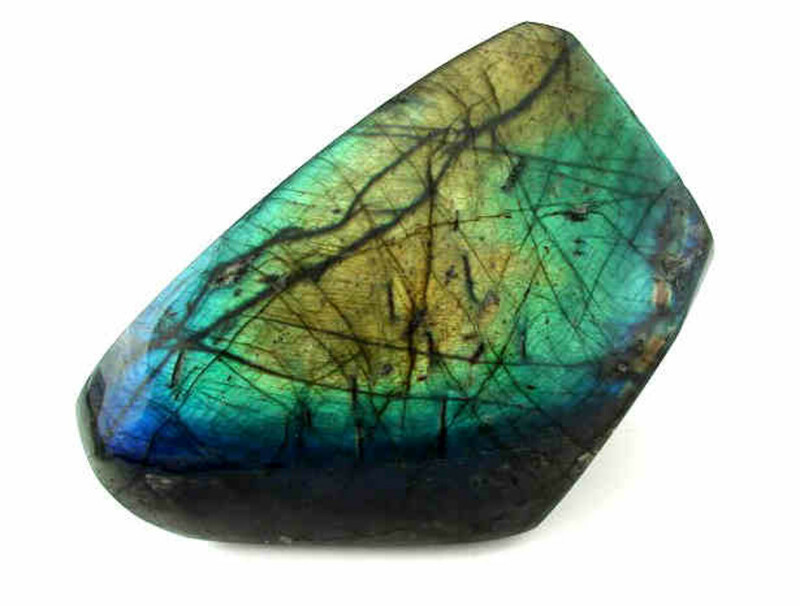 But if you are feeling stuck or having problems escaping a minor depression, it may be the stone for you. Malachite is a good stone for protection. It takes in negative forces and toxins by absorbing them directly from your environment and body leaving you with only good energy. You could say that it is a feel good stone; because it pulls energy from your surroundings. It should be cleansed often. Be sure to wear it when in the company of good uplifting people and be careful not to wear it around negative people. Malachite combats all radiation energy. It is excellent for persons living in close proximity to a nuclear fuel or waste site because malachite helps to clear electromagnetic pollution (pollution emitted from electronic appliances, cell phone towers etc.) from our environments. Place one near your computer work area to keep it clear of these pollutants. Do you like nature? 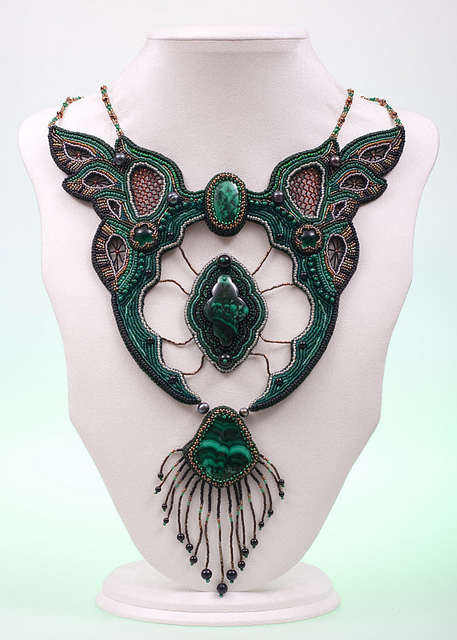 Wearing malachite jewelry forms strong bonds with nature and the fairy kingdom. While wearing this stone, I find myself needing to be closer to nature and am likely to start weeding he garden. Taking a stroll in the local woods might become priority. Even finding quiet tree to sit under works. When positioned on the 3rd eye (between your eyes), malachite properties initiates psychic visualizations. Placed near the heart, worn as a necklace, it brings balance and harmony, unlocking the heart to unconditional love. Who does not need more unconditional love? Malachite is known for change, because of this, every day is lived more powerfully with this daring stone known for taking risks and changes. It is constantly showing you what is inhibiting your spirituality and placing you back on the right path which is the spiritual power of malachite. Malachite pulls out deep-seated emotions and feelings. It severs useless ties to old habits that no longer suit us and leaves you ready and able to take responsibility for your actions. Malachite helps to you to let go of inhibitions allowing you to more honestly express yourself. The green stone creates feelings of empathy for other people, showing you what it is like to be them. It allows one to overcome bashfulness and encourages the formation of new friendships. Mentally, malachite gets to the root of the problem quickly, by increasing awareness and perceptiveness. It relieves mental commotion associated with psychiatric disorders. It increases your ability to take in and handle information, allowing you to be more perceptive allowing you to better understand upper-level concepts. When positioned on the stomach, Malachite helps in healing profound emotions. 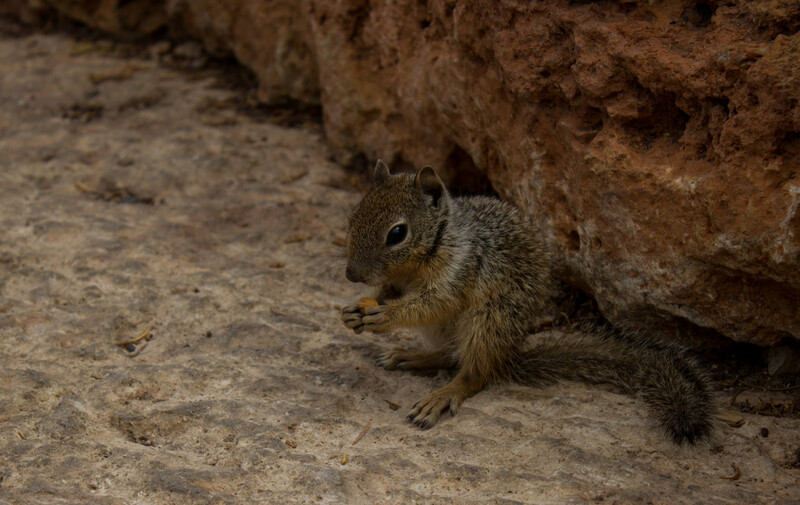 It dissolves unwanted emotions associated with traumatic experiences by bringing them to the surface where they can be dealt with and dissolved. Remember above, how the stones heal with geometrical patterns? Emotionally, malachite sometimes makes moods extreme and more likely to change. It can be used for inner exploration. It may not be the best stone for someone with manic depression. 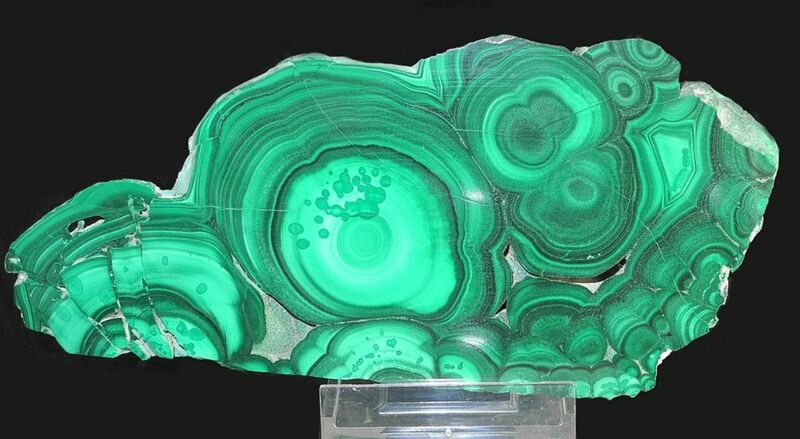 Malachite is used cautiously by many healers in emotional therapy because it often reflects and intensifies the feeling that are already in a person. 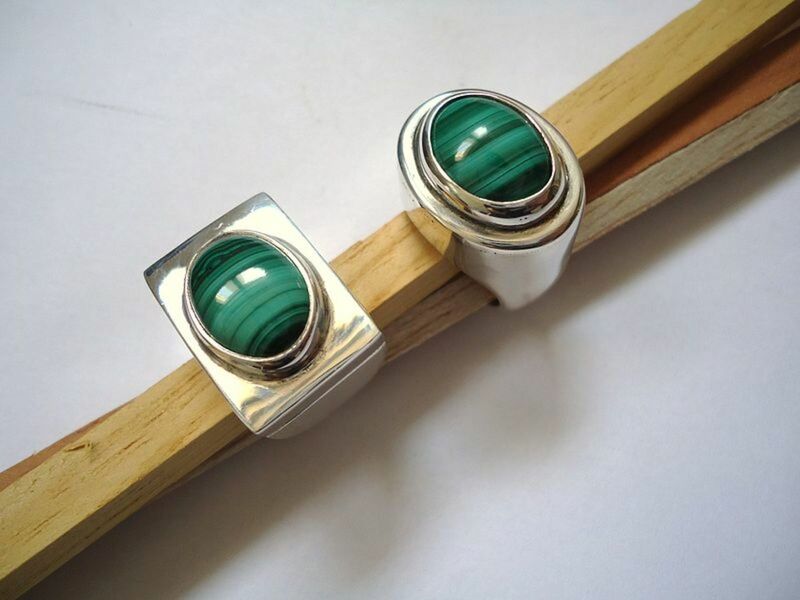 It may be a good idea to purge the old bad feelings no longer serving you before wearing malachite. But when the old emotions are gone, malachite intensifies all of the good. Malachite is used by some healers for woman related issues. It is known to stabilize the menstrual cycle and lessen the intensity of cramps. In baby delivery, it decreases labor pain. Because of this property, it has become known as the Midwife Stone. Its energy circulates through female sexual parts, and heals past traumatic incidences. 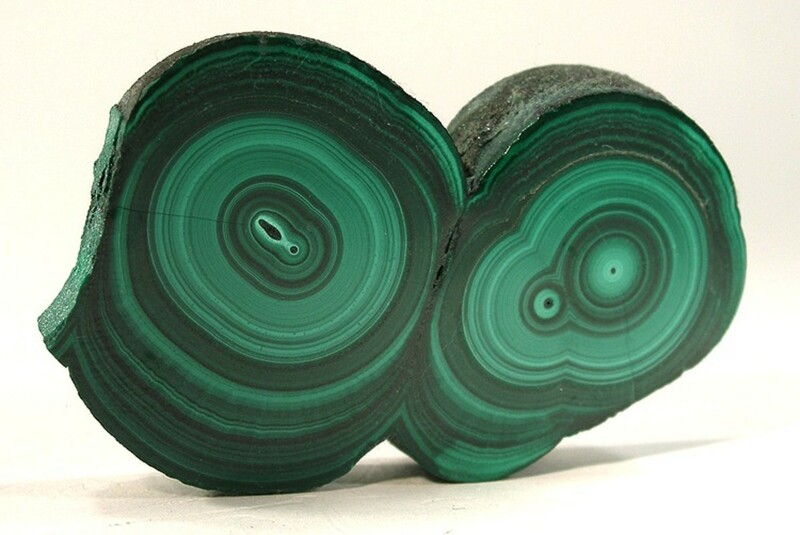 Physically, malachite healing stabilizes blood pressure to the appropriate level, improves asthma, arthritis, epilepsy, fractures, swollen joints, growths, travel sickness, vertigo, tumors, the optic nerve, pancreas, spleen, the parathyroid and the immune system. Malachite helps the liver eliminate unwanted toxins from the body, which helps decrease the acid in our tissues. It helps diabetes when worn around the waist. Have a fear of flying? Many of us do. Malachite is a wonderful stone to travel with, it provides a warming protection sensation that helps one to overcome phobias related travel like separation anxiety and a non-grounding essence. Holding a Malachite prior to the trip and imagining the protection of large wings around us, will make the trip unexpectedly calm. It will later lessen the effects of the dreaded jet lag. Interesting enough, it is often used by flight attendants and miners (traveling downward into the earth) to lessen accidents on the job. Malachite helps many individuals with short memory loss. Do you often forget appointments or where your car keys are? Having this stone near you may lessen this problem. Wear a malachite bracelet to remind you to keep track of things. Malachite is considered to emit energies related to good fortune and vast abundance. It is linked to the creation of a positive state of thinking, thus increasing feelings of confidence and reducing the state of lack. These new vibrations cause a perpetual state of abundance. This is a facet of transforming a physical or mental state of lack into abundance. It makes you think less about being a victim of your circumstances and more about yourself as a leader. It is known to help in the advancement of careers and businesses to prosper. Are you anticipating something new in your life? Malachite helps us to identify the simple steps to co-create with us. In other words it reminds us of the creation process, reminding us to be patient and enjoy the process. 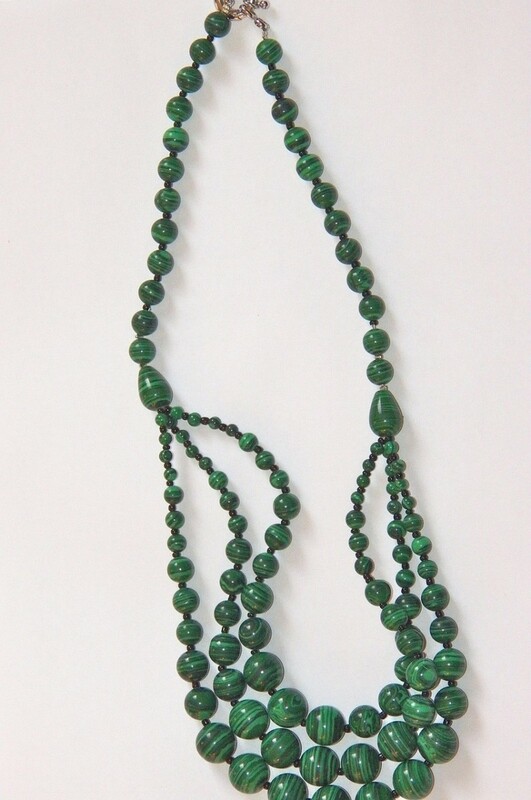 Do you wear Malachite Jewelry? The malachite healing properties help us to deal with our emotions by bringing feelings to the surface and giving us the tools to adequately deal with them and eliminate them from our lives. When wearing this stone, you can be assured that many true feelings will soon come to the surface and be resolved. And with these blockages out of the way, our true creative process is permitted to work more freely, taking us closer to our true selves, better known as healing. I started to use malachite under my pillow, and I woke up the next morning with a sore throat. I continued to use the stone for the next two days, and it got worse. Now I have laryngitis. Do you know why? Should I stop using it? I would stop wearing it. As discussed in the article, only polished malachite should be worn. Maybe you should be asking yourself what you do not feel you have a voice in? I was using rhodochrosite for a while before I tried malachite. I was wearing it as a pendant, along with Aventurine for two months and putting under my pillow at night. This morning, I realize the rhodochrosite has broken in half. What does that mean? I feel much better overall since I started my healing journey. Should I get another one? My crystals often break in bed. My rule is, if it has jagged etches that can hurt me, I get a new one. Otherwise, I just use the stone until it no longer serves me. Do you think rhodochrosite is a good replacement for polished malachite? 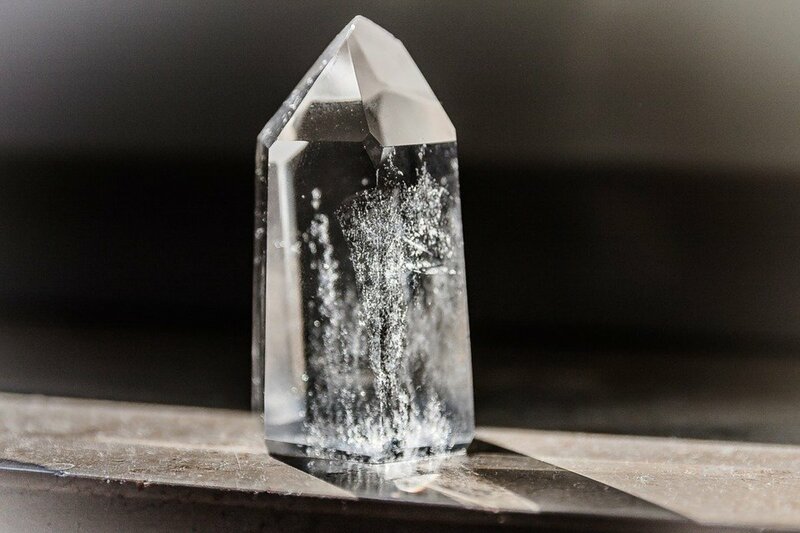 When I hold malacite, why does it gets hot? It is just the energy of the stone giving healing. Where can I buy a malachite stone? You can buy malachite on Amazon. So e glad that you enjoyed. I was just looking at some Malachite at a trade show the other day. Love reading this stuff. Just purchased a set the other day for fun, and I did not know that it has many positive effects to the wearer. Thank you for the information. I am so jealous. I bet you were able to bring back so many cool stones. 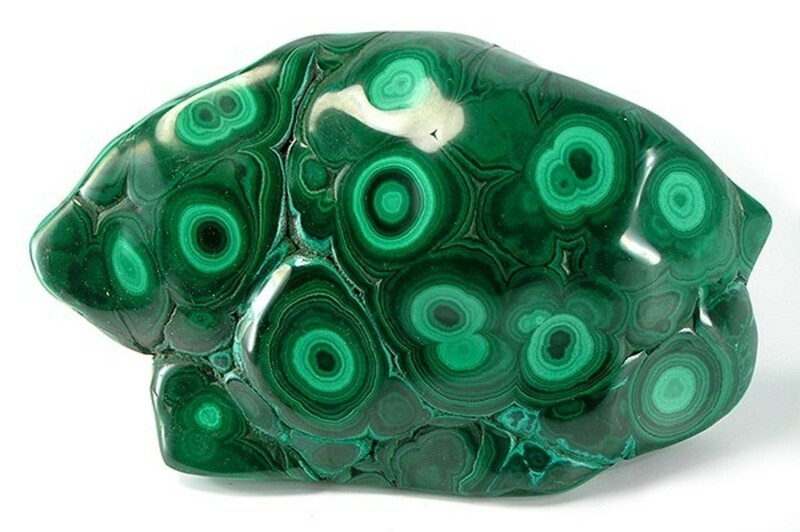 Malachite is a beautiful stone. I visited Namibia to see it being mined in the north of the country and a saw amazing examples of this gemstone. Beautiful stones. I enjoyed learning about them. Love that beautiful malachite box. Not the ciggies that may have been in it. Just the box. So glad that you enjoyed. I've read that Malachite is great for my Taurus sign,so I was looking into buying some. Great info! Very interesting article! 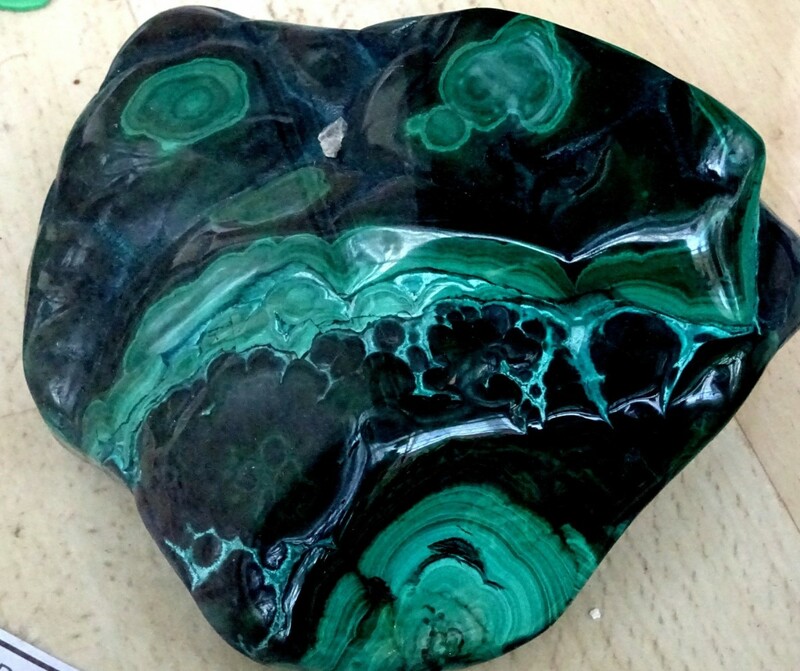 Malachite is a beautiful stone, both to look at and because of it's many properties. @kidscrafts So happy that you enjoyed. Very interesting article! I didn't know that malachite had so many properties! My parents used to have a really big chunk and non polished of malachite. I don't know if they bought it ou received it as we lived in Africa for 7 years and my father even longer because he continued to work there when the rest of our family was back in Belgium. I even don't know what happened to that big piece of malachite. I love the colour of the malachite! So nice stone! I will try to buy a piece to put beside my computer because I spend a lot of time there. Thank you again for all that information! So glad you stopped by. Thanks for your input. In Italy near the city of Parma is the Fondazione Magnani Rocca (a Foundation), with a rich collection of works of art and also temporary exhibitions. In the hall of the villa, an imposing center of the room you can see the cup in malachite by Philippe Thomire, famous French sculptor and goldsmith, supported by three winged sphinxes in gilded bronze, made for Tsar Alexander I and subsequently donated to Napoleon. 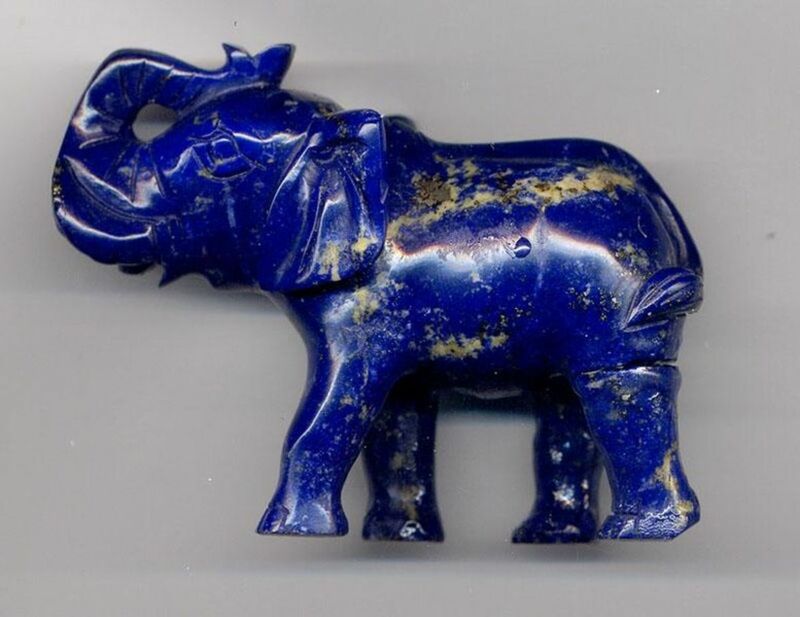 This piece in empire style combines the interest in Egyptian-Oriental themes with a strong polymaterialism of celebration type and was hired as a symbol of the Foundation. It 's just fantastic and impressive! Thank you for your interesting and beautiful article! @ Londonlady So glad that you enjoyed. @Ruby H Rose Thanks for stopping by. Malachite is the prettiest in jewelry. That box and the necklace are stunning ! @ midget28 Yes it is a cool stone. Thanks for stopping by. A beautiful stone, and interesting that it has so many healing properties too! Thanks for sharing! Thanks for the share. I have to get my website going again so I can start selling my stones and jewelry. I used to sell healing stones in my gift shop. They all have such great healing energy and powers. The Malachite stone I have has a lovely smooth and strong texture. They sure are different than the typical properties. I did a lot more research on this, more than the usual hub. Interesting properties associated with a stone. Thank... I really enjoy writing these hubs. @Rehana Thanks for the compliment and I am so glad that you enjoyed it. Amazing...where I live, there are plenty of handicraft stores that sell malachite jewelry crafts, I should go get myself some! I had no idea they could be used for so many purposes. However my mood is quite changeable and I'm not sure if it would be right for me. Nonetheless, you hub has me convinced, I'm going to get myself some! Great work! Wow, ..its so beautiful. and you explained well its healing properties.. All my votes! I know. For some reason, Malachite is a very difficult stone to photograph, so I had to settle for other photographs. Wow, that is one pretty stone!